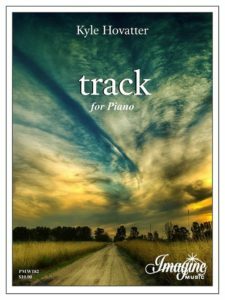 T his piece titled track was inspired by a quote often credited to Henry David Thoreau: “As a single footstep will not make a path on the earth, so a single thought will not make a pathway in the mind. To make a deep physical path, we walk again and again. To make a deep mental path, we must think over and over the kind of thoughts we wish to dominate our lives”. The piece was written for and premiered by Sarah Cahill. “track” is dedicated to my good friend, Danny Clay.